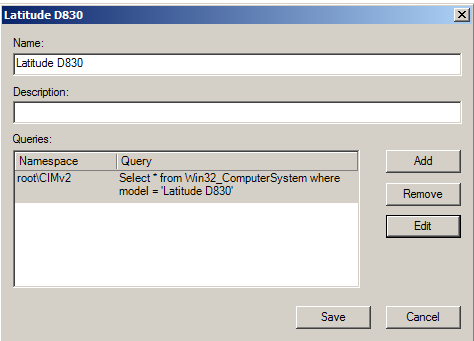 The Ask the Performance Team has published a WMI Code Creator tool that allows queries your local WMI repository on your computer. 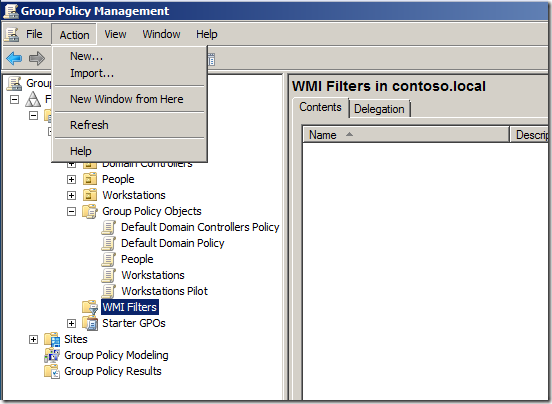 This too can be useful if you want to find the WMI values to use with a WQL query filter for your Group Policy Objects (GPO). 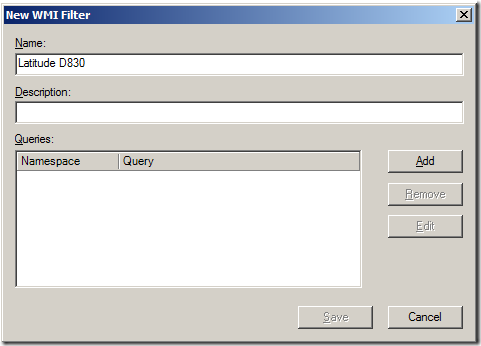 The tool itself does not actually create a WQL query for WMI filtering however you can it to get the required values and then then plug them into an existing WQL query. 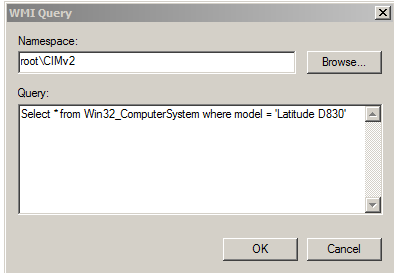 Here I will take you though the WMI Code Creator tool to get the values to make a filter to apply a GPO only to Latitude D830 computers. 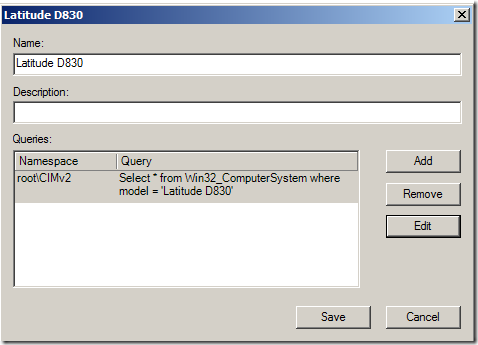 You can customize the query by simply substituting the Class and Property values of your choice. Step 1. 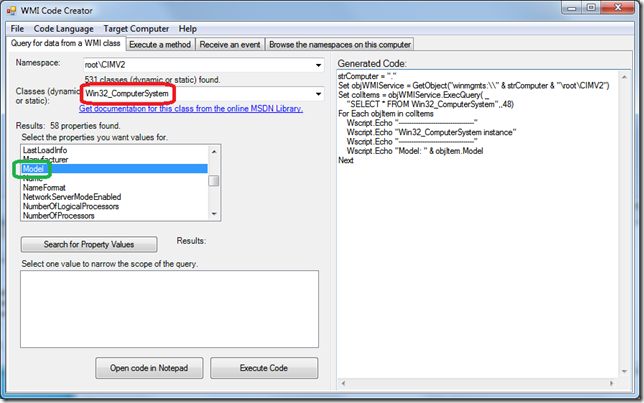 Open the WMI Code Creator tool. Step 2. 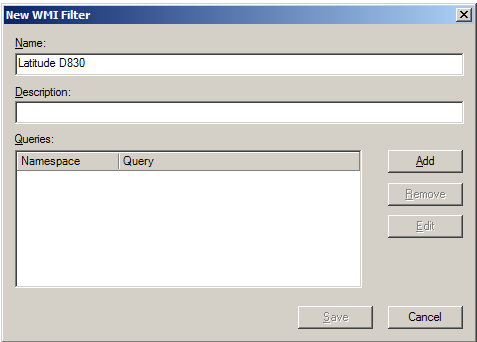 Select the Class you want to use and then select the properties you want to filter on. 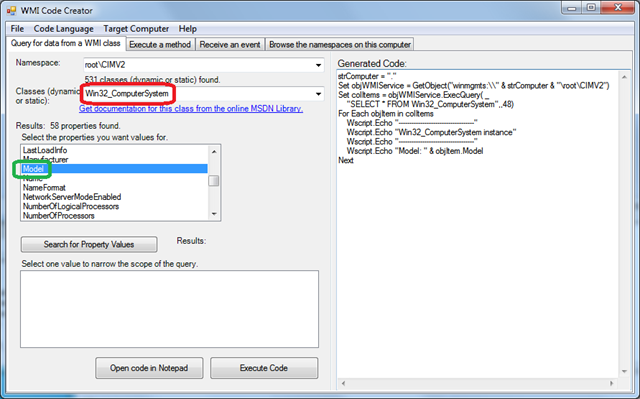 Take the highlighted values in the screen shots above and replace them in the query below. 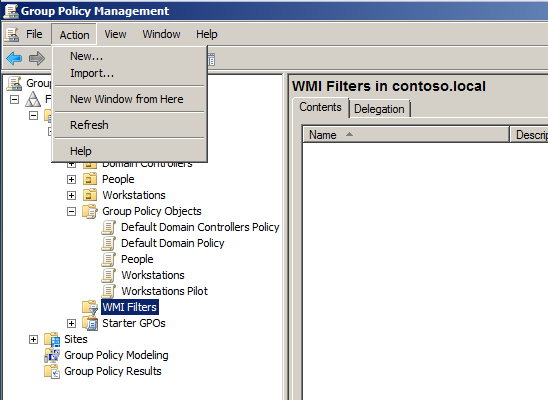 The filter will now be listed in the WMI Filters section of GPMC for use by other Group Policy Objects. 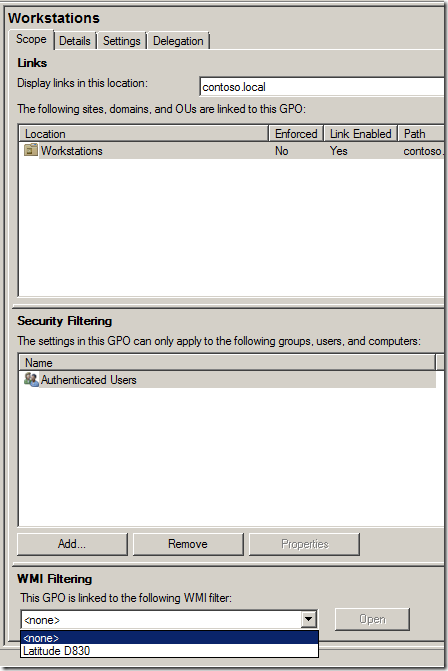 To use the Group Policy WMI filter select a GPO in GPMC and you will be able to select the filter in the “WMI Filtering” section at the bottom of the Scope tab. 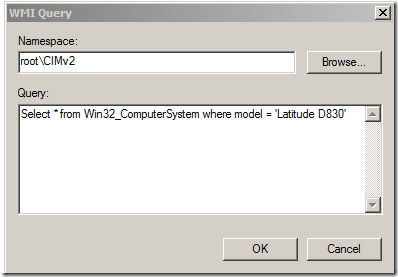 So now you have applied a WMI filter to an existing GPO so that it will only be applied to Latitude D830 computers. This can be especially useful if you want to deploy hardware specific updates (e.g. drivers) to a particular type of computer. hey great post. wonderfully helpful. 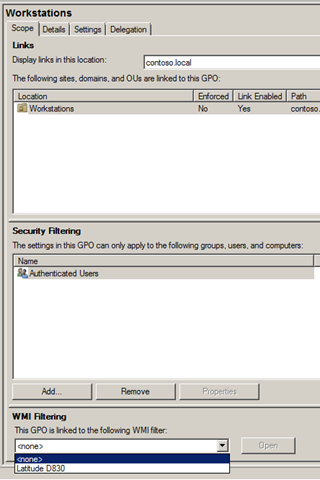 If it is a Group Policy Preference then yes… you can use the targeting of the item setting to make sure it is a particular users in an certain OU… if it is a native Group Policy then i dont think this is possible. Would negative filtering be also possible (i.e. applying a GPO to computers which do not run a specific service)?